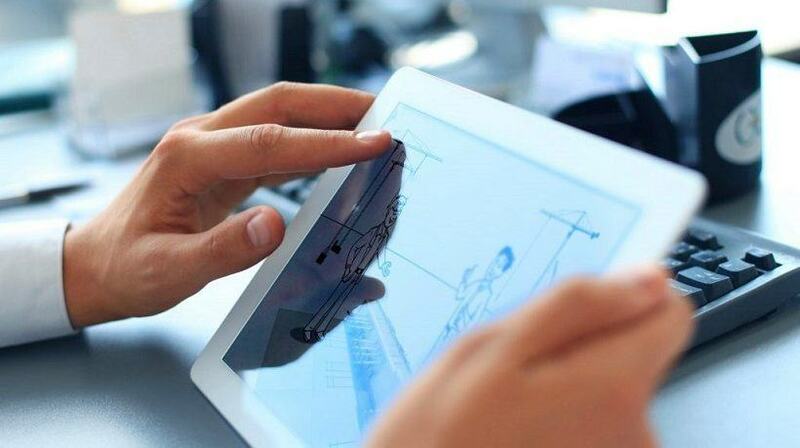 Corporate eLearning / Corporate eLearning: Do You Know Why Pictures Help Us Learn? Implementing traditional learning methods into technology is no recipe for success. eLearning offers us many things, but it doesn’t guarantee a learning outcome that will benefit the learner nor the organization’s bottom line. So to help employees learn new skills and retain what they learn we need to rethink our eLearning methods. Visuals and pictures can play a big part in inspiring engagement. A picture of a pipe once helped me to understand conceptual models. Yes, pictures help us learn. But how can we use this knowledge in our corporate learning? Similar questions were asked in a study I did a few months ago called Effectiveness Of eLearning In Statistics: Pictures And Stories published in E-Learning and Digital Media. For business this study holds a lot of relevance, as it shows us how to help our employees learn better than ever before. Therefore, now would be a good opportunity to see what this means for your organization’s Learning and Development strategy? Organizations that spend time and money on their employees’ education want bang for their buck. The current best method to provide organization-wide up-to-date integrated learning environments is via the deployment of a Learning Management System (LMS) from where learners access content and undertake learning tasks. However, have we asked … how do we offer digital training that makes a positive impact on learning? Research has shown us how people can improve their understanding of concepts and increase their engagement with teaching materials. To do this we can use pictures in a scenario (virtual simulation of real-world practices) where the learner can role-play and explore their environment whilst playing out the jobs of the professional they wish to become, or, already are. They can make mistakes (forget to administer medication, give false diagnosis, blow-up labs, etc.). This way they practice without actual real-world consequences getting in the way of their learning. Of course making mistakes has its consequences (loss of points, inability to proceed, game-over, etc. ), but this is not as tragic as blowing up a real science lab. The great thing is that these techniques appear to be transferable, which means that we can apply them in a broad-range of settings (different business situations, etc.). The principles are the same. The foundation is to use context-relevant pictures, as these help people understand concepts better. Doing this in a clever learner-centered manner, one where the technology and the content have been built around proven learning methods provides an optimal learning experience, key to learning. As an example, when I was studying a former lecturer (now Associate Professor John Lamp) was explaining ontologies and other conceptual models. I was struggling with the concept(s). 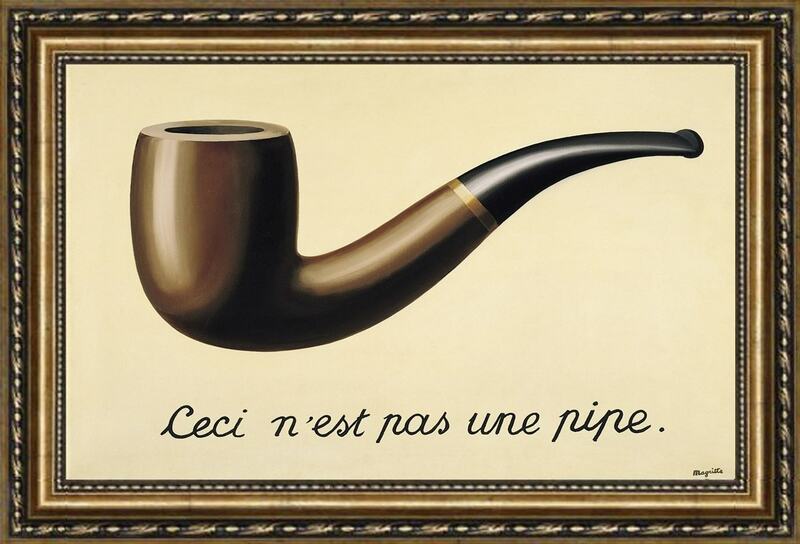 He turned and pointed to the wooden picture frame on the wall and asked “what is that?” to which I replied “a pipe”. “No it isn’t”, he chuckled, “it is a picture of a pipe”. That was my ‘aha’ moment. It wasn’t an actual pipe, just a representation… in a picture. Suddenly I understood the concept of concepts. I had learnt that conceptual models were just representations of the object (real or not) to which it refers. A picture had helped me learn. If a learner gets a good mark in the test, we do not really know if they know the content? Do they actually understand the materials? With such a format we only test a person’s ability to recall information and repeat it in a test, so at least we know that they were awake. But, what did they really understand? Are they just good at memorizing sentences word-for-word and able to recall all the stuff that they have heard for the test? Have they understood the materials at a deeper level? We do not know this because with such an eLearning implementation we haven’t tested this. We certainly do not want to copy a chalk and talk teaching style into our digital learning environments. The problem is, many of us do so. The good thing, however, is that research shows us practical ways of using eLearning that will give our learners great benefits in terms of their ability to learn new complex information at a much deeper level. Even for people who struggle to learn key concepts the use of eLearning scenarios (case studies where learners solve problems in a context they understand) embedded with pictures helps, as this puts more emphasis on a deeper conceptual understanding not just surface rote learning. How does this work? Well, learners whilst role-playing exercise their critical thinking and problem solving skills if they are asked to solve problems in a virtual learning environment. We use pictures in these environments to put difficult concepts into a reality the learner can relate to (an office, classroom, factory floor, healthcare center, etc.) where the pictures act as anchors to theory learned. So, seeing the picture triggers an anchor (a link) to recall from somewhere deep in your memory what you have learned, in time when you need it. For ‘real learning’, one where the learner is exposed to a deeper level of learning, the learner needs to be immersed in a reality they can relate to, because learning in context is a powerful memory retaining method. Here they also need to solve problems. This helps the learner by being an ‘active’ participant, not just a passive attendee. Using this approach, the learner will be engaged by the interactive environment where they are tasked with solving problems on their journey of discovery. As learners explore the problem space we provide them with guidance and resources (videos, documents, templates, etc.) and allow them to read / learn what they think is necessary to solve their problem as they need it. We can also add red herrings that lead to dead-ends, because we all learn from our mistakes. The things that challenge us the most are the ones we learn the most from. These environments can also be allowed to be a bit messy, just like the real-world. Because you can’t create creativity in a sterile environment. And connecting learning with real-world practices resonates with learners, as they are motivated and inspired by their ability to apply theory effectively in practice, even if they don’t know that is what they are actually doing. Even when teaching very complex materials this method works by giving the learner practical relevance through explanations using stories that revolve around known real-world examples (their own business, job roles, offices, etc.). We need, then, to design eLearning materials in a way that discourages learners from limiting themselves to surface learning but instead stimulates in-depth learning so that they can function effectively in the corporate environment as independent and proactive professionals. The industry needs its workforce up-to-date with the latest skills to be productive, remain relevant and profitable. If you have been conditioned, through training, and you see the picture, a memory trigger (or anchor) is activated. You remember content that would not normally be immediately available for recall. Learning how to use pictures in training, then, could be valuable to business. So, we see that, indeed, a picture is at least worth a thousand words, as it can help us create meaningful, truly impactful eLearning experiences!